The steel product manufacturing market consists of sales of steel products by entities (organizations, sole traders and partnerships) that produce tubes and pipes from iron and steel, shapes drawn through rolling or drawing of purchased iron or steel, and draw steel wire. 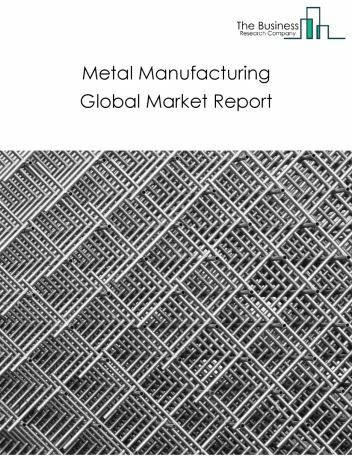 Major players in the global steel product manufacturing market include ArcelorMittal SA, Nippon Steel & Sumitomo Metal Corporation (NSSMC), POSCO, Baosteel, and JFE Steel Corporation. The steel product manufacturing market size is expected to reach a higher value by 2022, significantly growing at a steady CAGR during the forecast period. 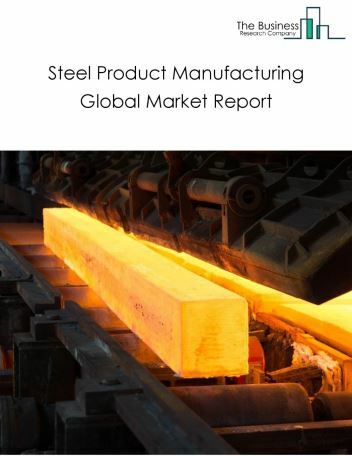 The growth in the steel product manufacturing market is due to increase in new vehicle sales in rapidly developing countries such as China and India owing to rise in disposable income, increased demand for steel products. However, the market for steel product manufacturing is expected to face certain restraints from several factors such as interest rate increases, workforce issues. The global steel product manufacturing market is further segmented based on type and geography. By Type - The steel product manufacturing market is segmented into iron and steel pipe and tube manufacturing, rolling and drawing. By Geography - The global steel product manufacturing is segmented into North America, South America, Asia-Pacific, Eastern Europe, Western Europe, Middle East and Africa. Among these regions, the Asia-Pacific steel product manufacturing market accounts the largest share in the global steel product manufacturing market. IoT technology is being adopted and implemented by steel product manufacturing companies is the major trends witnessed in the global steel product manufacturing market. Potential Opportunities in the Steel Product Manufacturing Market With increase in positive economic outlook, improved earning capacity, emerging markets growth, the scope and potential for the global steel product manufacturing market is expected to significantly rise in the forecast period. 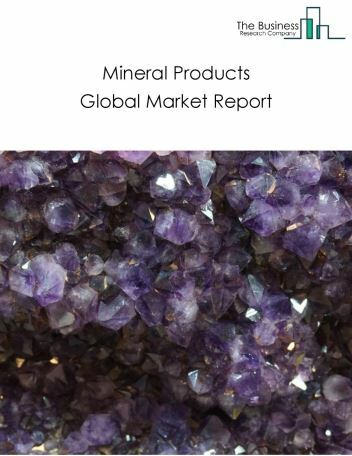 The mineral product manufacturing market consists of sales of mineral products by entities (organizations, sole traders and partnerships) that offer products such as bricks, refractories, ceramic products, and glass and glass products, such as plate glass and containers. This market also includes cement and concrete products, lime, gypsum and other non-metallic mineral products including abrasive products, ceramic plumbing fixtures, statuary, cut stone products, and mineral wool. 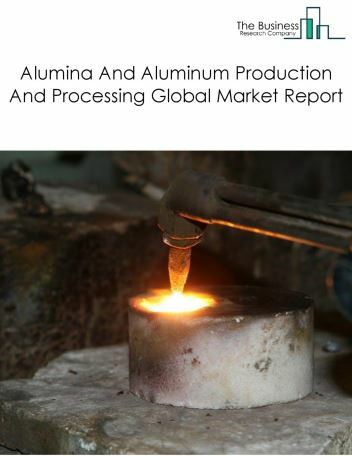 The metals manufacturing market consists of sales of metals by entities (organizations, sole traders and partnerships) that operate iron and steel foundries, iron and steel mills, and/or ferroalloy manufacturing businesses; and/or entities that undertake alumina and aluminium production and processing. 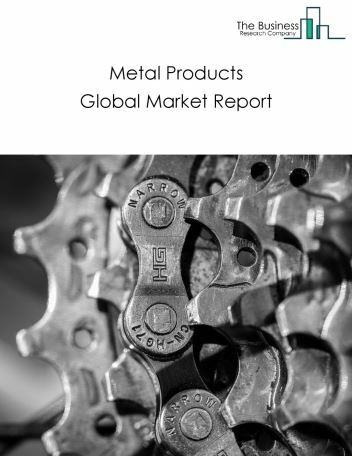 The metal products manufacturing market consists of sales of metal products by entities (organizations, sole traders and partnerships) engaged in screw, nut, bolt, spring, wire, boiler, tank, shipping, architectural, structural metal, cutlery and hand tool manufacturing. This industry also includes forging, stamping, coating, engraving, heat treating and allied activities. 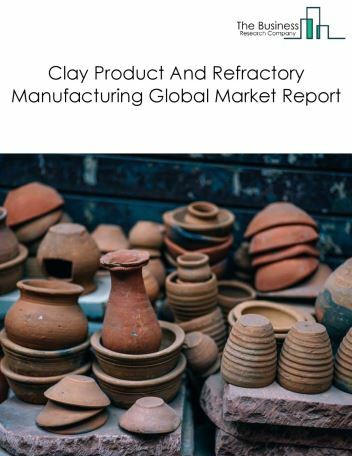 The clay product and refractory manufacturing market consists of sales of clay product and refractory products by entities (organizations, sole traders and partnerships) engaged in shaping, molding, glazing, and firing pottery, ceramics, plumbing fixtures, and electrical supplies made entirely or partly of clay or other ceramic materials, refractories, non-clay refractories, ceramic tiles, bricks, and other structural clay building materials. Clay is procured from mining or quarrying companies, loaded by truck or front-end loader into a primary crusher, transferred to grinding mills, and further processed using grinding, mixing, cutting, shaping, and honing. Refractory materials are heated and then formed into bricks or other shapes for use in industrial applications. Equipment and tools used in clay product manufacturing include crushers, grinders, wire cutters, high-pressure cylinders, rollers, dryers, and burners. Clay products find applications in the construction, steel making, cosmetics, and food industry. 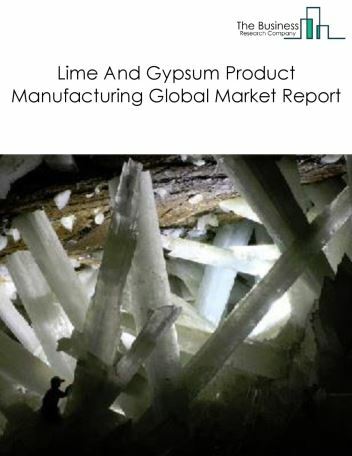 The lime and gypsum product manufacturing market consists of sales of lime and gypsum products by entities (organizations, sole traders and partnerships) manufacturing lime from calcitic limestone or other calcareous materials, such as coral, chalk and shells and manufacturing gypsum products such as wallboard, plaster, plasterboard, molding, ornamental moldings, statuary, and architectural plaster work. Raw materials used for lime and gypsum product manufacturing include calcite limestone, dolomite limestone, and other calcareous materials such as coral, chalk, and shells. Limestone quarried by blasting the mines is crushed and fed into a rotary kiln. The rotary kiln transforms the limestone into lime when subjected to high temperature. Lime refining process includes milling, hydration, and lime slurry preparation. Gypsum is used in production of plaster, plaster boards, gypsum fireboards and gypsum blocks. Small quantities of high-purity gypsum are also used in confectionary, food, brewing, sugar beet refining, and the pharmaceuticals industry. 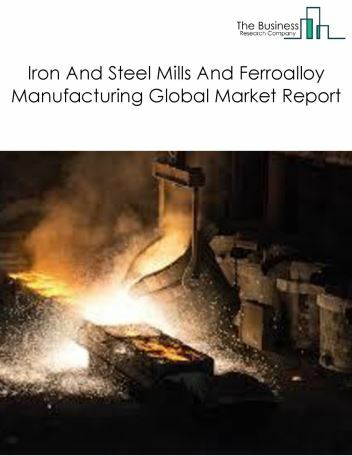 The iron and steel mills and ferroalloy manufacturing market consists of sales of iron and steel mills and ferroalloys by entities (organizations, sole traders and partnerships) carrying out activities such as reducing iron ore, transforming pig iron into steel, and producing molten or solid pig iron, steel, steel and forming pipe and tube, electrometallurgical ferroalloys, and steel and manufacturing shapes such as bar, plate, rod, sheet, strip, and wire. 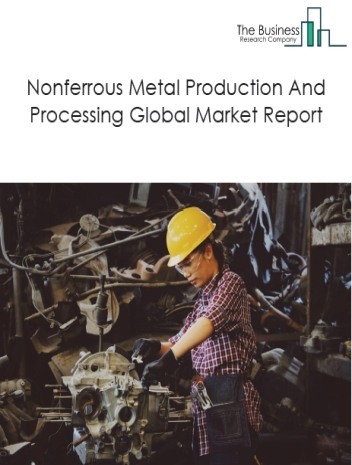 The nonferrous metal production and processing market consists of sales of nonferrous metals by entities (organizations, sole traders and partnerships) primarily engaged in smelting ores into nonferrous metals and/or the primary refining of nonferrous metals (except aluminum) by electrolytic methods or other processes. The alumina and aluminum production and processing market consists of sales of alumina and aluminum by entities (organizations, sole traders and partnerships) primarily engaged in alumina extraction primarily from bauxite ore, producing aluminum from alumina, recovering aluminum from scrap or dross, refining aluminum by any process, alloying purchased aluminum and rolling, drawing, casting, extruding and alloying aluminum and aluminum-based alloy into primary forms such as bar, foil, pipe, plate, rod, sheet, tube, wire.